During the late eighties and nineties, Houston was the hot bed for Great Rock bands releasing new CD’s. King’s X, Carolyn Wonderland, Galactic Cowboy’s, Blue O ctober all getting a lot of note and airplay both locally and around the country, including Madman Justice who’s CD was possibly the best of them all. Beautifully Drowned the title of their first and only CD to date was released in October 1997, on Houstone Records. 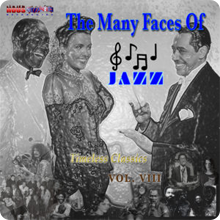 This 10 song CD was on the verge of propelling the group to the next level, when the band members decided to go different ways. 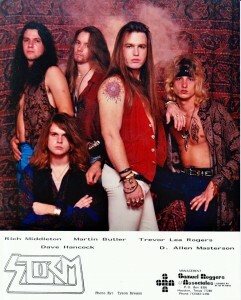 Five veterans of the Texas’s music scene founded the band in Houston, Texas in 1988. At that time they were known as Storm. 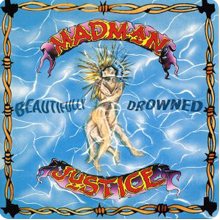 The name Madman Justice came about as a result of conflict with another group who had already released a CD under the same name. 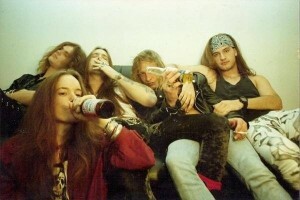 The Houston group had been around longer but elected to settle the dispute and use another name Midnight Circus when performing but only for a short time. The varied tastes, background and influences, characterize the group’s sound that has been categorized as “Texas Alternative Blues Rock” or “Texas Blues Rock With An Edge”. Regardless of the words used, you will never get it, until you listen to the CD. Lead & rhythm guitarist Martin T. Butler’s influences comes from the roots of Rock-n-Roll classics, like Eric Clapton, Dickey Betts and Carlos Santana to name his favorites. Self taught discipline and an amiable personality comes through as a strong, relaxed playing style. Martin can solo with the best also uses his rhythms to fill any song with ease. His solos on Ain’t No Sunshine, Silent Rage and Rhythmic Round is worth getting the CD for. David Handcock, Terry Matula both played Bass with the band at gigs and on the CD. David, paid homage to Victor Wooten, Jaco Pastorius, Flea and Jack Bruce and has more a laid back style of keeping a groove, while Terry ‘s exposure to the bass comes from Steve Harris, Stanley Clark, John Paul Jones, and Tom Hamilton and is why he likes the funk style of playing bass. The energetic Mike Medina started playing drums because it was natural for him to do so from the age of 10. 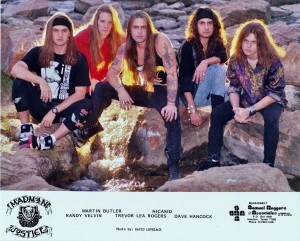 (Mike replaced Randy Velvin, the group’s original drummer in the late eighties). Mike would like for people to know him by his style that is influenced by John Bonham & Joey Kramer of Aerosmith; no doubt you will hear their influences on the CD. Randy’s solo on Silent Rage if you like drums is a must to hear. The band selected Stevie Muree as the new lead singer a female, an is something the group was not looking for when looking to replace Trevor, but Stevie’s strong gritty, sultry voice left no doubt that she could be the one to they need to make the journey complete. Stevie Muree on lead vocals, rhythm guitar, & flute, bring the band to new horizons; & some say she reminds you of what may be the next great voice of Rock, a little bit of Janis, a mix of Ms. Nicks blended with Patty Smith. Just great stuff. Just listen to her on Whipping Post, Crystal White Snow and Trees, hell the whole CD, and you will swear you are listening to hints of many different great Rock singers. Stevie learned her craft well!